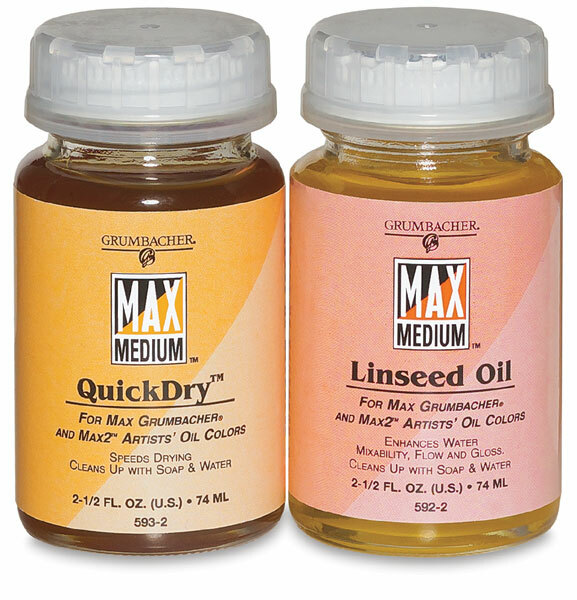 Max Grumbacher Oil Painting Mediums are two completely non-toxic formulas that can be freely used with Max paints without concern about proportions. 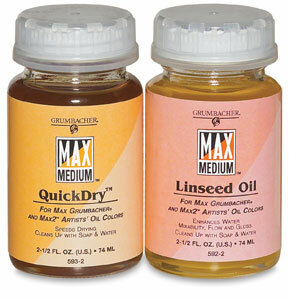 Each enhances the water miscibility of Max or mixtures of Max with conventional oils. Speeds drying, improves flow, and increases gloss. 2.5 oz (74 ml). ® Grumbacher is a registered trademark of Chartpak.™ Quickdry is a trademark of Chartpak.